Elysian at The District is a ground-up development of a 360-unit garden style apartment project, consisting of 310 stacked flats, 50 townhomes, fitness center, rec center, leasing office, pool and outdoor lounge area. 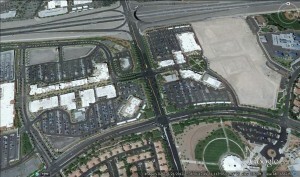 The project is broken up into 33 buildings, spread out across a 18.95 acre site located in Henderson, NV, right off I-215 and S. Green Valley Parkway, adjacent to The District at Green Valley Ranch, a Whole Foods-anchored destination mixed-use shopping center. Stacked flats range between 740 – 1,400 sf and townhomes range between 1,220 – 1,860 sf. All units are of Type V-B construction and have tuck-under (at grade) parking. On behalf of Cypress Equity Investments, LLC, Urban One provided Predevelopment Consulting and Investment Management services on the project, acting as the Equity Investor’s Rep. The project is currently complete and leasing. Civil Engineer DRC Surveying Nevada, Inc. Structural Engineer L.R. Nelson Consulting Engineers, Inc.
MEP Engineer Comfort Engineering, Inc.